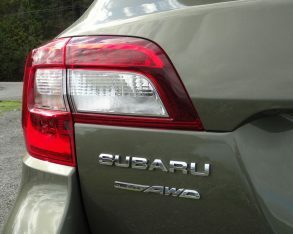 but while in the past that has often meant quirky and peculiar, these days it means distinctive and smart. 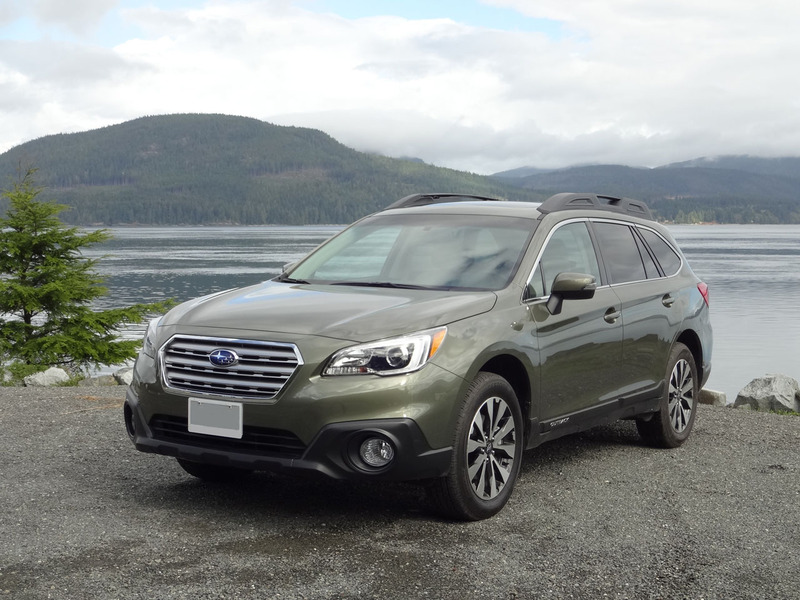 Consider the 2015 Outback. 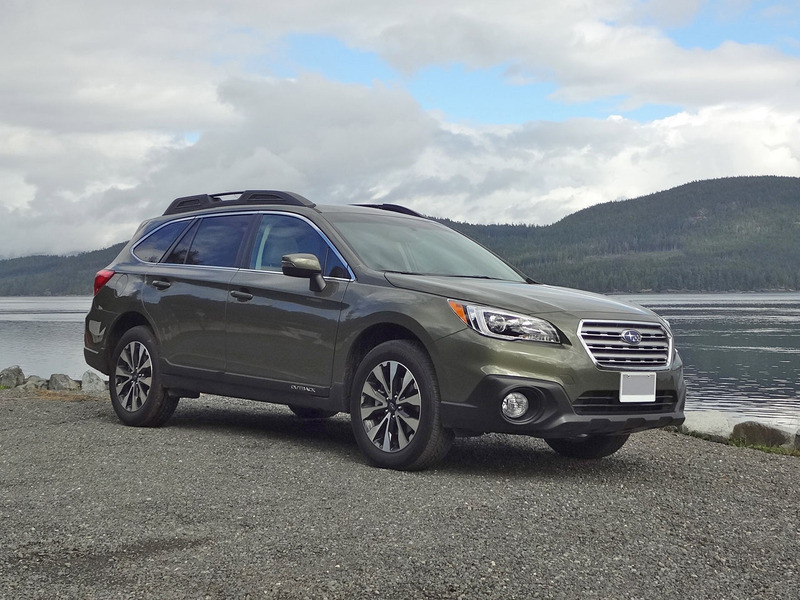 First introduced in 1994 as a raised, ruggedized version of the Legacy wagon, the Outback was Subaru’s response to the growing SUV craze and as such was also perhaps the first true modern-day crossover – not quite a full-blown SUV, but taller and more capable than your average car. 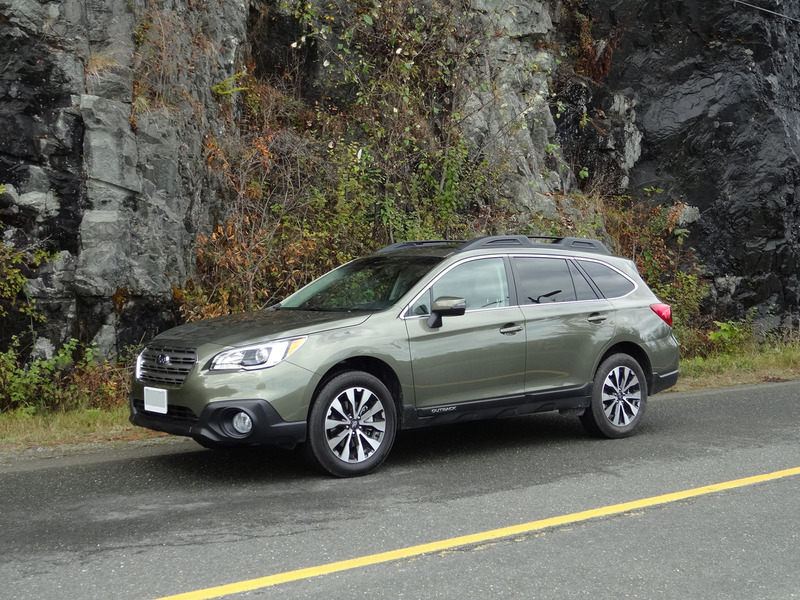 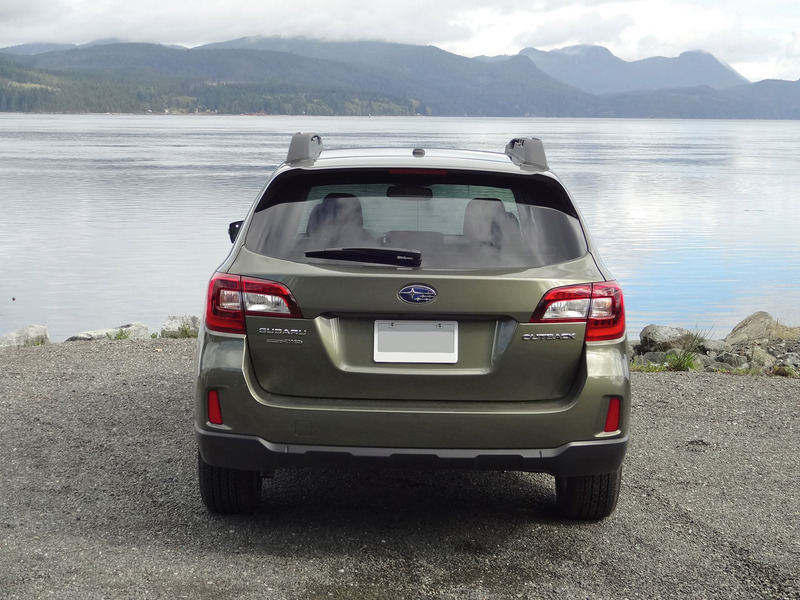 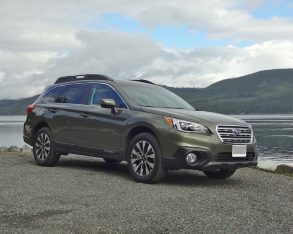 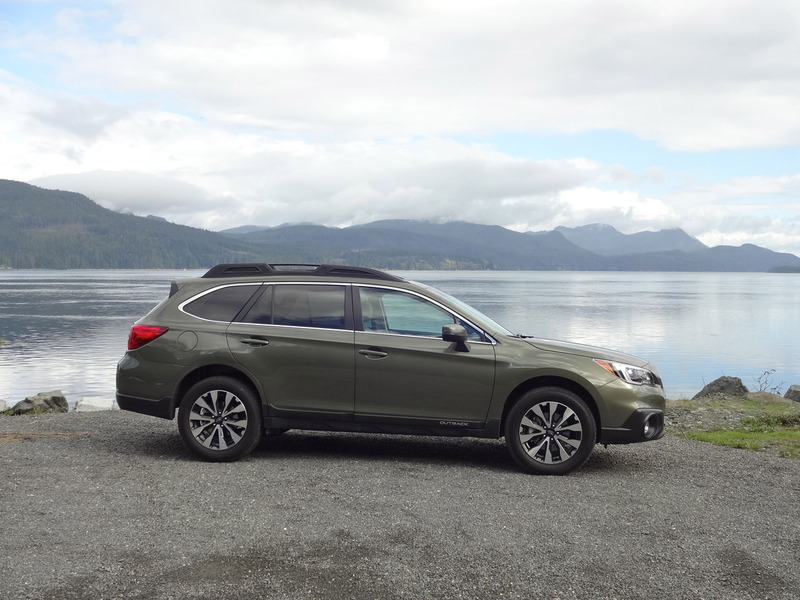 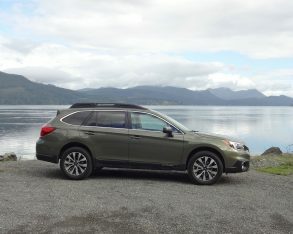 Since then it has evolved through five generations (the Legacy is in its sixth generation, but the Outback was only introduced with the second-generation Legacy). 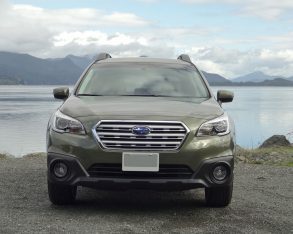 The latest Outback was introduced at the New York International Auto Show and arrived at Subaru dealerships as an all-new 2015 model. 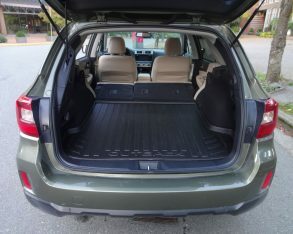 longer and 20 mm wider, riding on a 5-mm longer wheelbase) and a good deal more spacious inside, with more rear legroom than before and nearly 150 litres of additional cargo space (it’s now 1,005 litres, up from 857 litres). 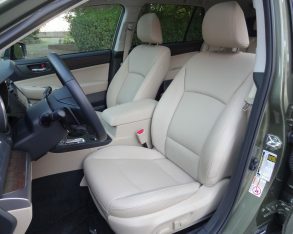 It is also a whole lot more refined, offering a quite, supple ride and, in my test car’s Limited 2.5i trim, a luxuriously-appointed and feature-rich interior. 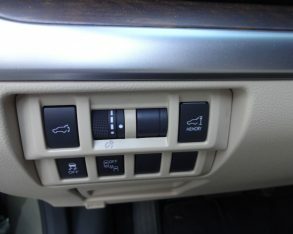 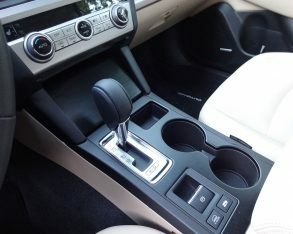 or a six-speed manual transmission (this latter item is only available with the 2.5i in base and Touring trim). 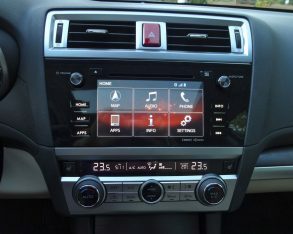 My test car was fitted with Subaru’s 2.5-litre four-cylinder horizontally-opposed "boxer" engine, an iconic design (think Porsche and old air-cooled Volkswagens) that in this modern guise uses liquid cooling, twin camshafts driving 16-valves, and a direct-injection fuel system to produce 175 horsepower and 174 lb-ft of torque. When pitted against the Outback Limited’s 1,665-kg (3,670-lb) curb weight this is perfectly adequate power (I had no problem cruising the freeway at speed and pulling off passing manoeuvres on undulating two-lane highways with just myself in the car), but there’s not much left in reserve for those seeking thrills or hauling full loads up mountain passes. 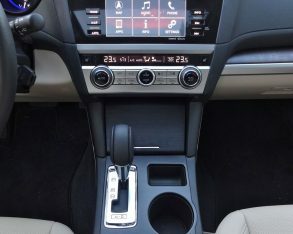 CVT automatic transmission offers six preprogrammed virtual gears to run through if you want to take some control of the proceedings, but I pretty much left it in automatic mode and let the CVT work as it was designed to, continuously adjusting the gear ratio for the best combination of power and efficiency. 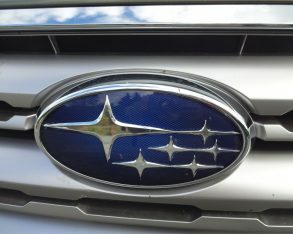 To Subaru’s credit the Outback’s CVT does this in a much more satisfactory manner than some other CVTs I’ve driven, allowing a hint of variation in the engine speed as you accelerate and thus avoiding the droning effect that can be the bane of the CVT’s efficient design. 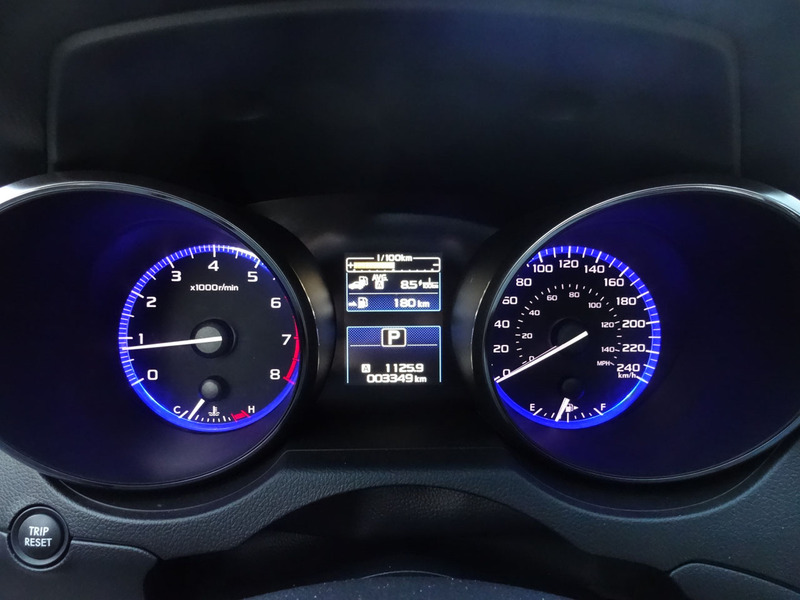 My only criticism is that I noted an occasional jerkiness when transitioning on and off the throttle. 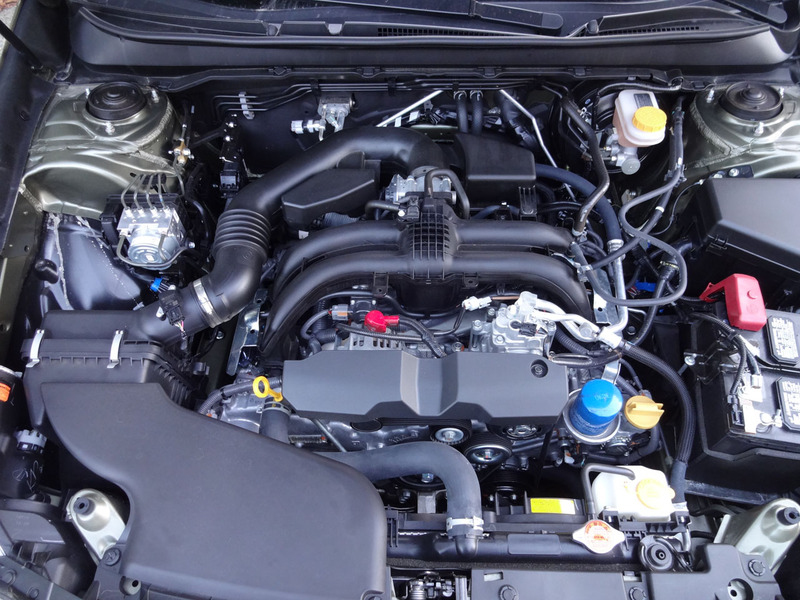 to go with the 3.6-litre six-cylinder, which churns out 256 horsepower and 247 lb-ft of torque (the tradeoff comes at the pump of course, especially in the city – the larger engine is rated 12 / 8.3 L/100km). 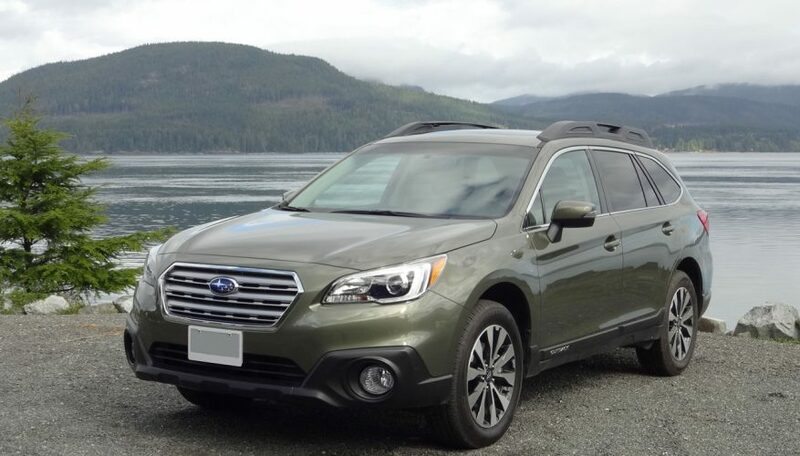 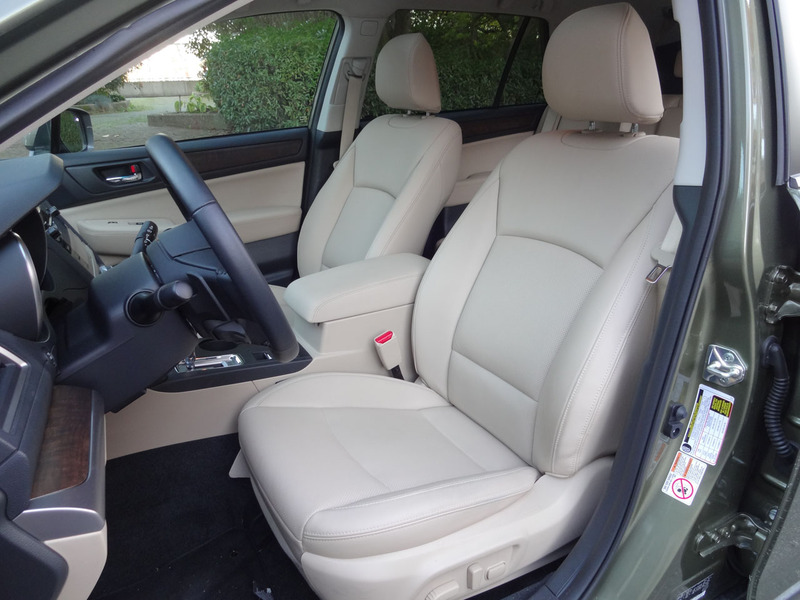 Whichever engine you choose, the Outback offers a comfortable and nicely fitted interior, especially in Limited trim. 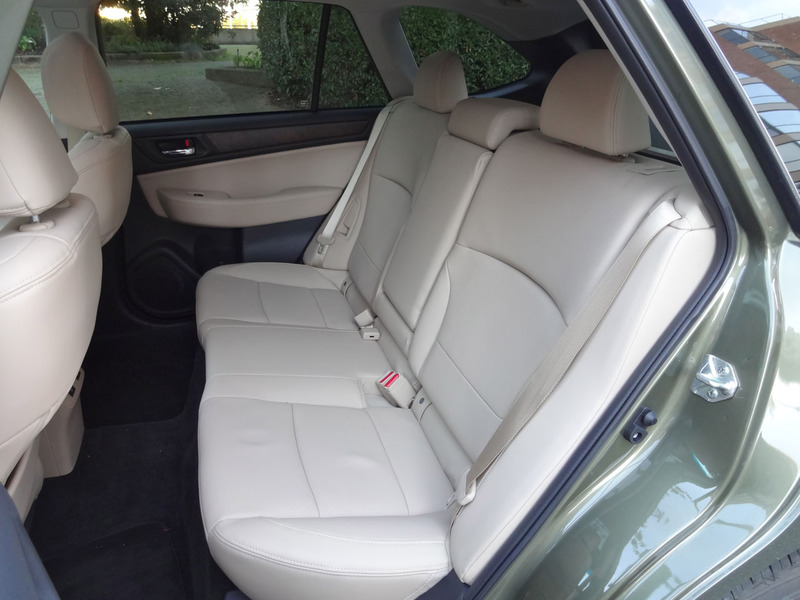 We’re talking supple perforated leather upholstery with sufficient padding and support in the front seats for all-day driving comfort, enough room in the back seat for genuine three-across seating, and seat heaters both front and rear. 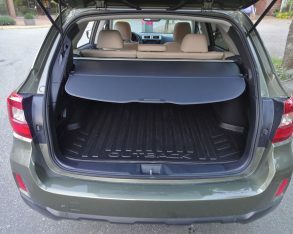 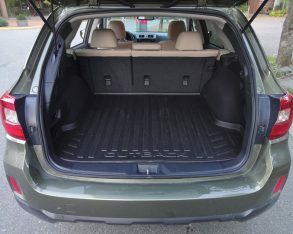 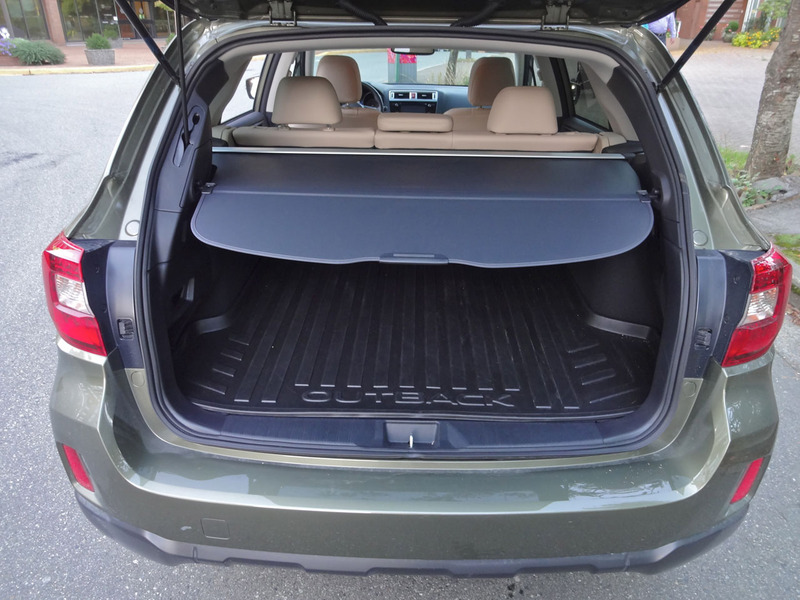 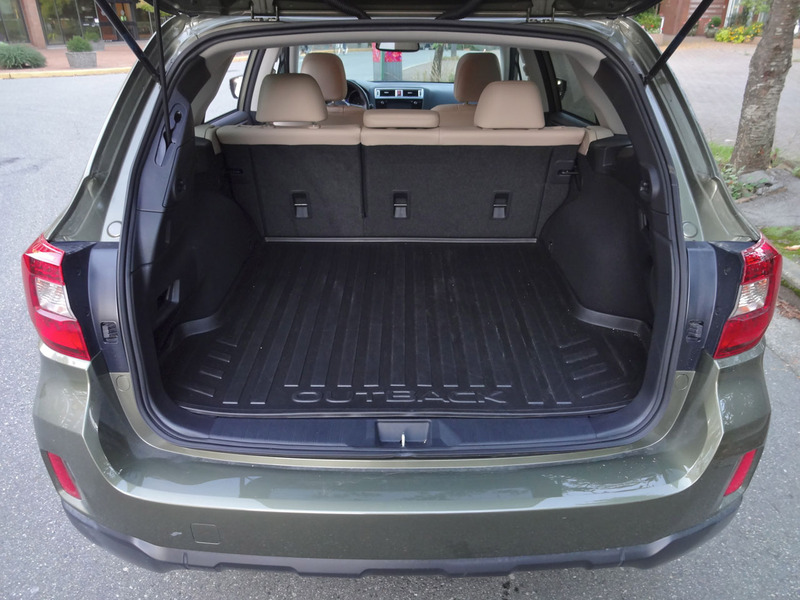 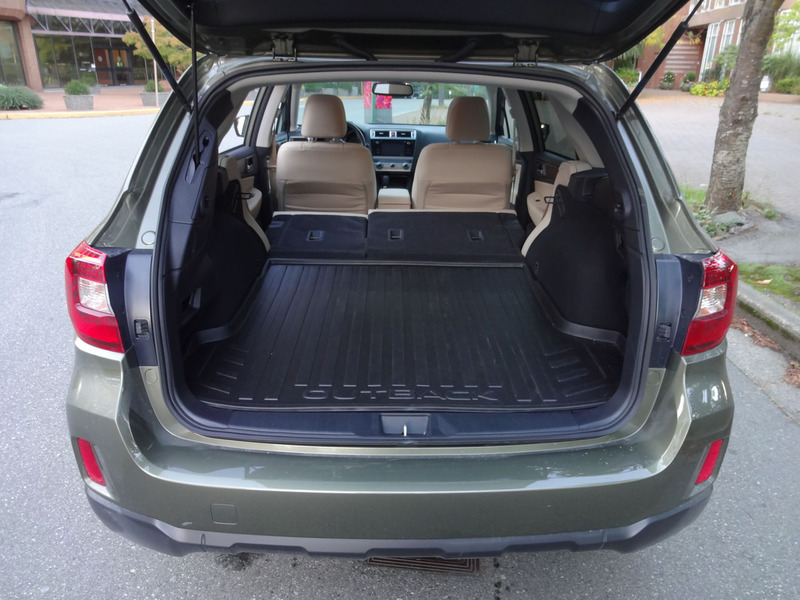 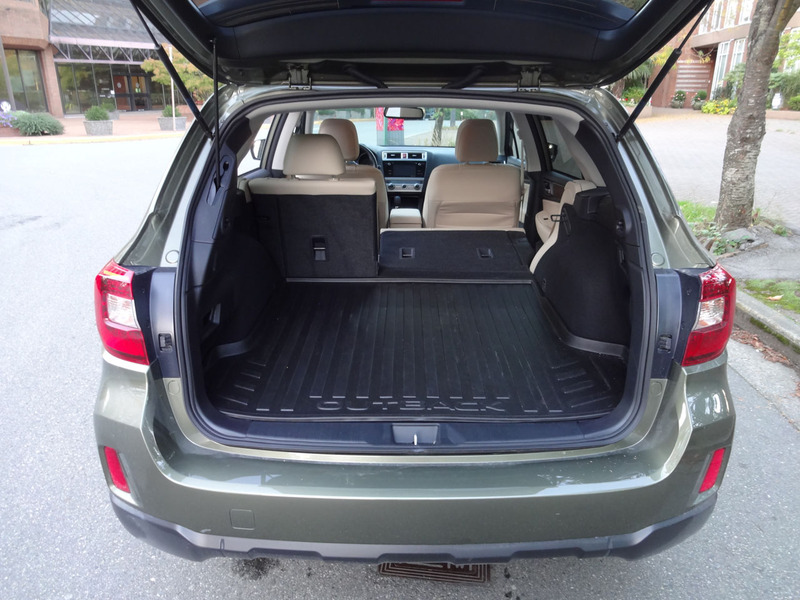 Behind the rear seats is a capacious 1,005-litre cargo area (with a standard cargo cover and rubber protective mat in Limited trim), which expands to 2,075 litres with the rear seats folded. 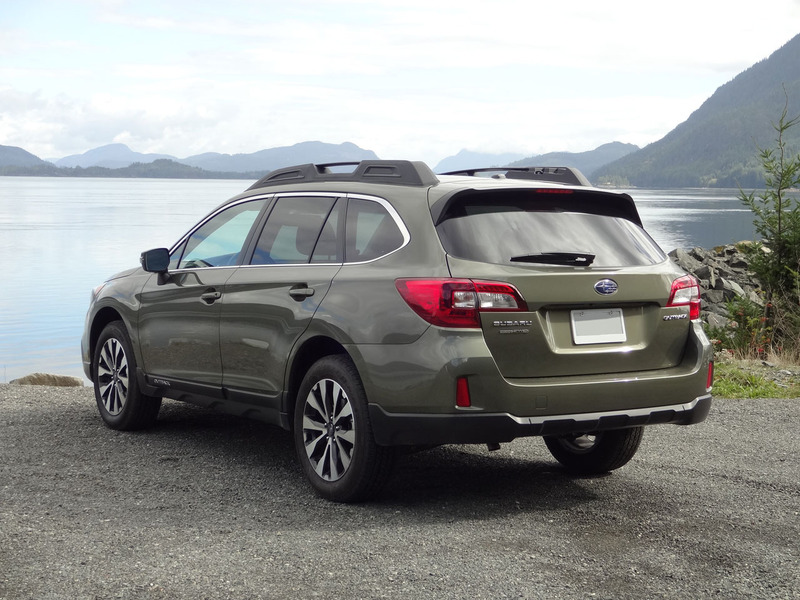 For adventurers whose gear spills over beyond what the Outback’s ample interior can accommodate, there are robust roof rails that can easily handle a roof box, with cross bars for transporting kayaks or what-have-you. 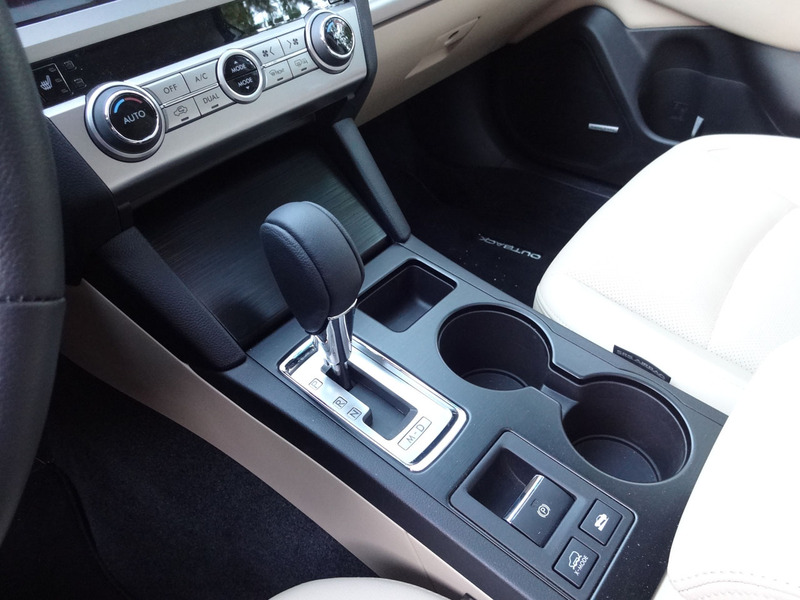 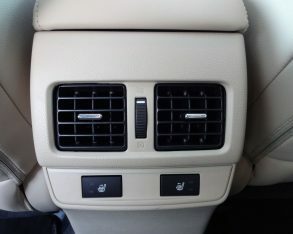 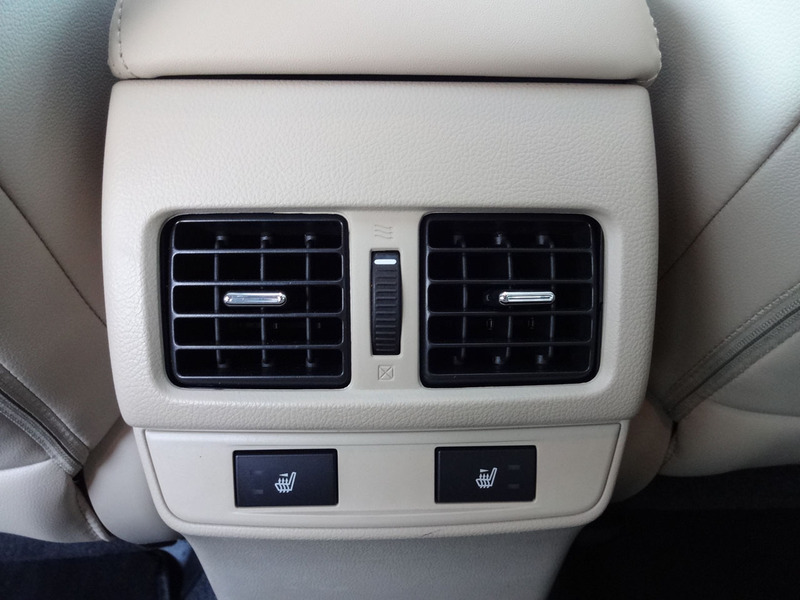 materials are used inside wherever it matters, such as the dash top and door uppers, with good-looking rigid plastics specified for the centre console, door lowers and lower dash. 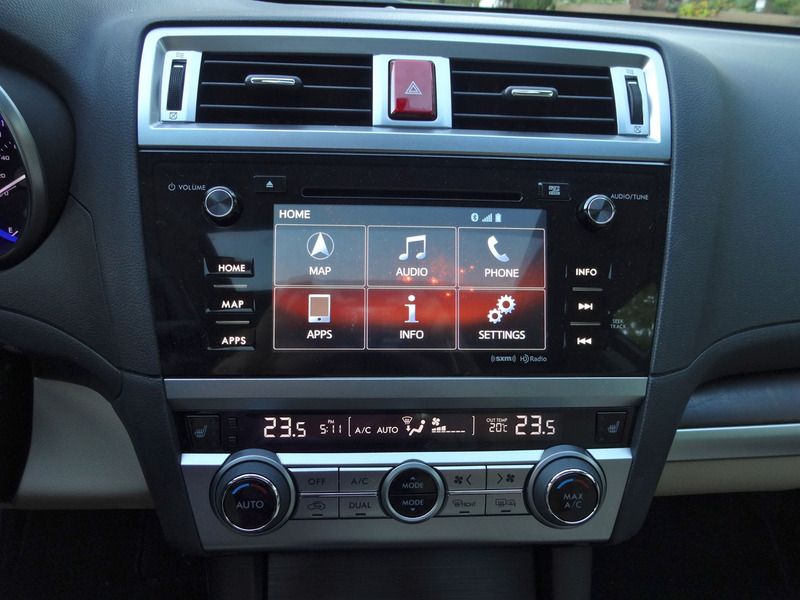 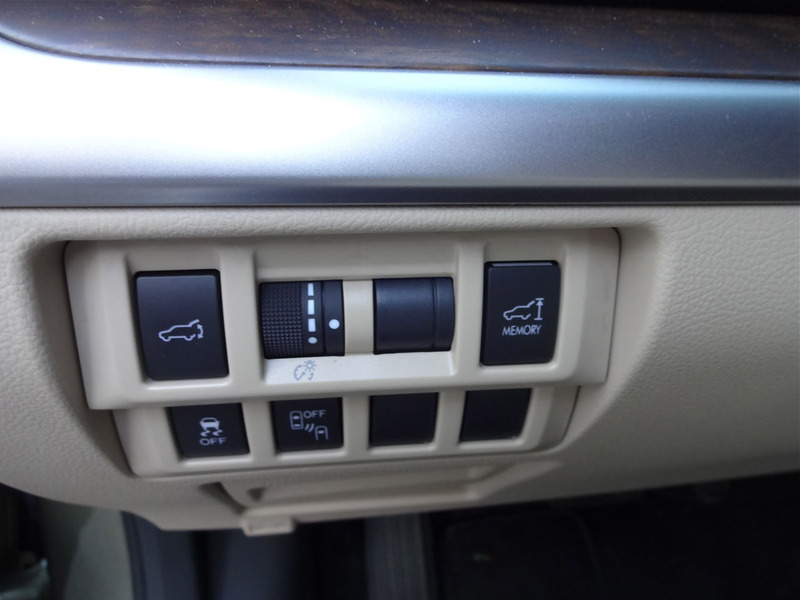 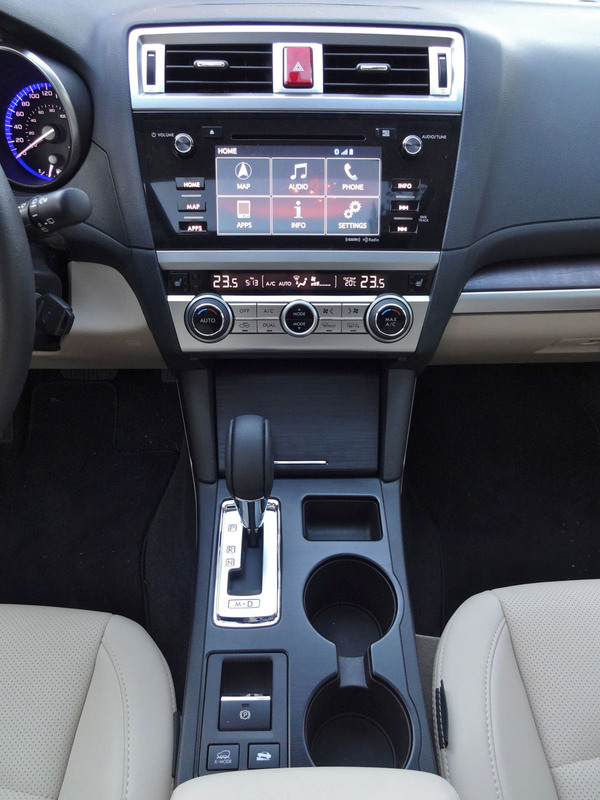 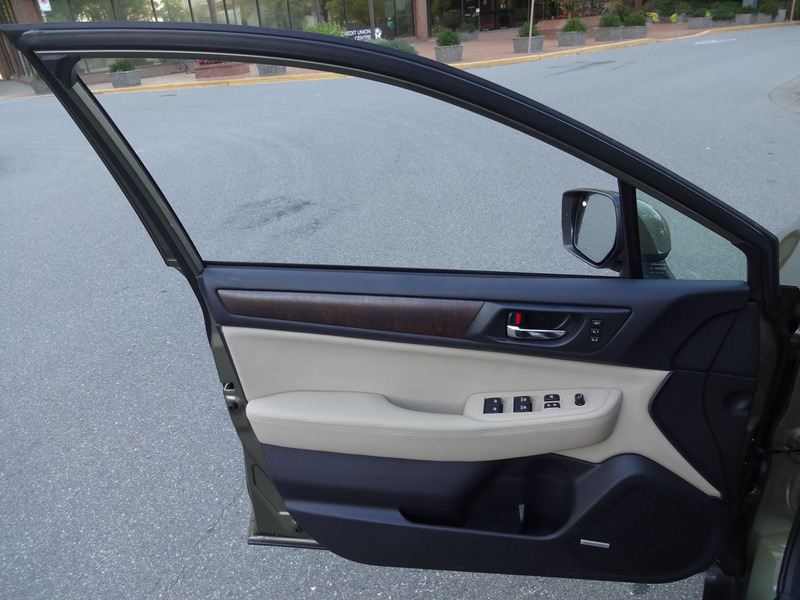 The clean and simple dashboard layout places everything logically and within easy reach, while a combination of good looking woodgrain trim and brushed metallic accents gives the car a decidedly premium appearance. 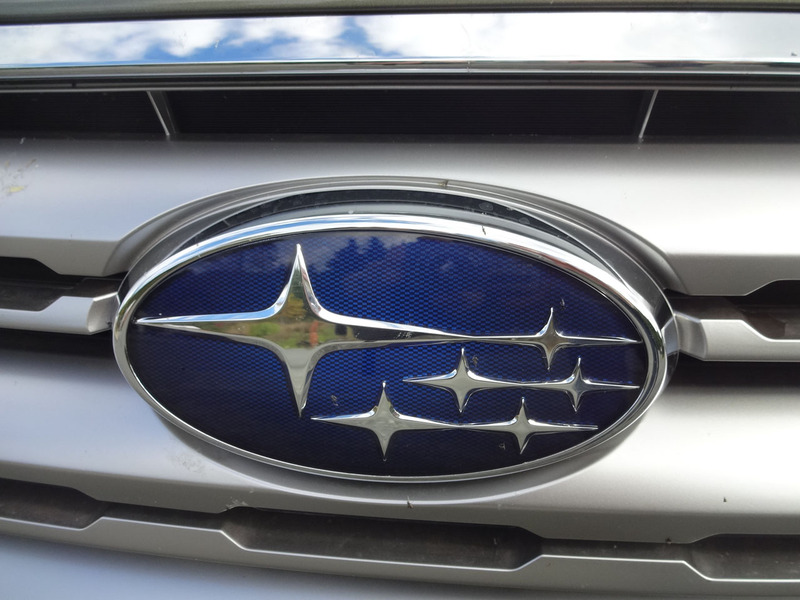 I found intuitive and easy to use with good mapping graphics. 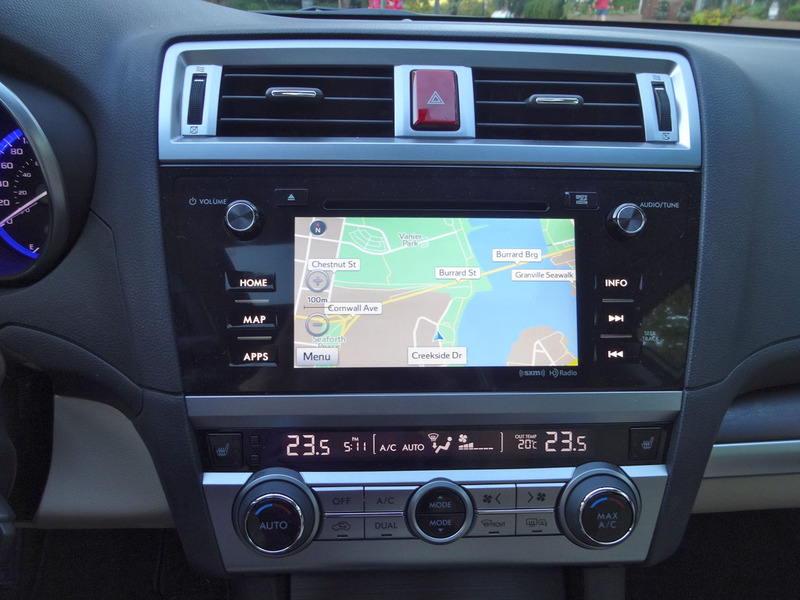 One thing I’d like to see is slightly larger buttons on the touchscreen, as it can be difficult to press the correct one, especially while travelling along less-then-perfect pavement. 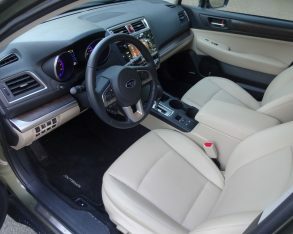 to the Legacy sedan it demonstrates only a little more pitch and roll when braking or cornering. 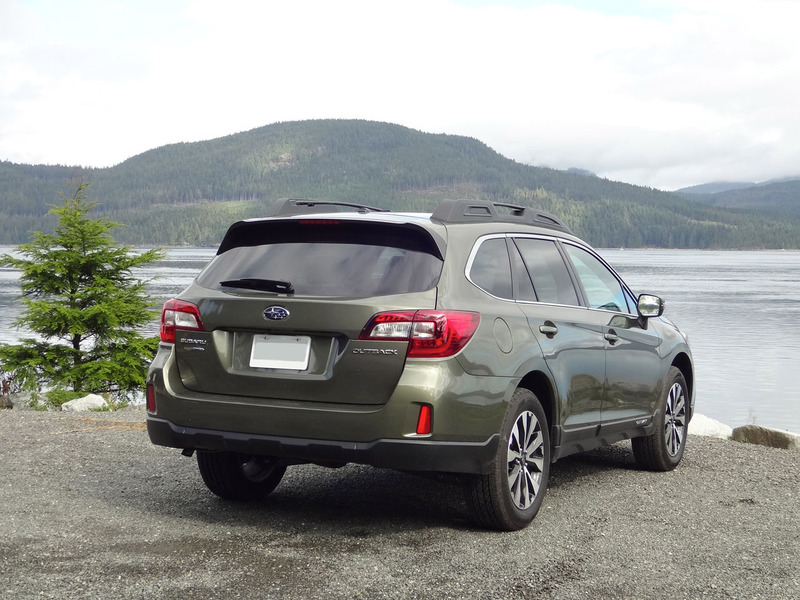 At freeway speeds, you can certainly feel crosswinds more than you can in the lower-slung Legacy, but this is more a case of being aware of the crosswinds’ presence than actually getting pushed around by them. 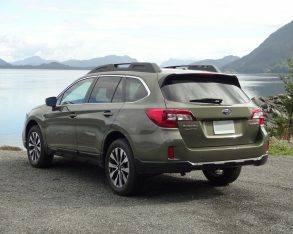 The Subaru 2.5i Outback starts at $29,645 (its $1,650 destination fee included) with the manual transmission (the CVT is $1,300 extra) and includes air conditioning, power locks and windows, cruise control, tilt and telescoping steering, a rearview camera, heated front seats, a cargo cover, fog lights and a four-speaker AM/FM/XM/CD/MP3 audio system with 6.2-inch touchscreen display, USB and auxiliary inputs and Bluetooth phone connectivity. 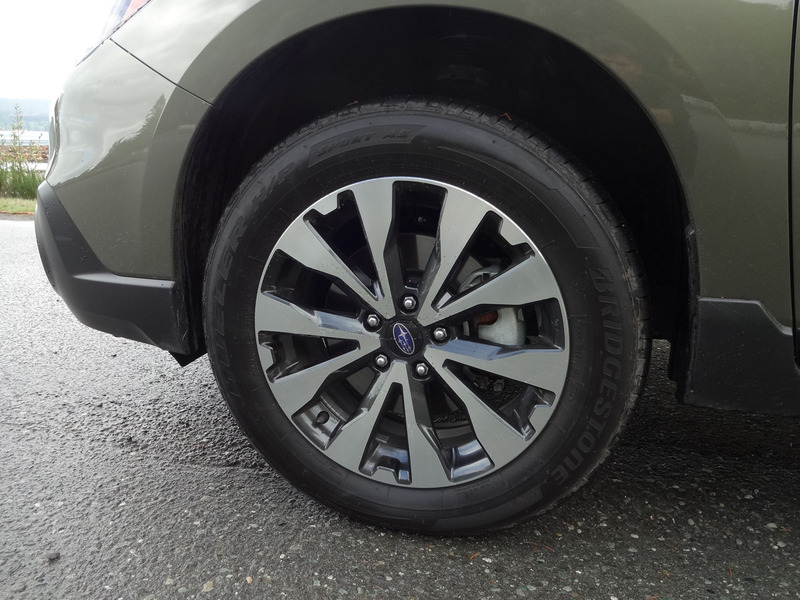 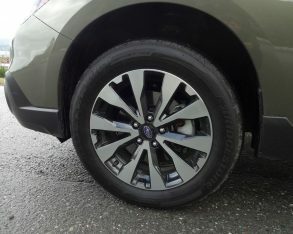 Wheels for the base car are 17-inch steelies with covers. 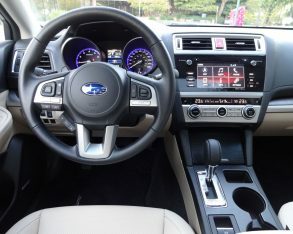 dual-zone automatic air conditioning, a 10-way power adjustable driver’s seat, upgraded electroluminescent gauges, blind spot detection with cross-traffic alert, a leather-wrapped steering wheel, 17-inch alloy wheels, auto-dimming side mirrors, welcome lighting, a power liftgate and an upgraded six-speaker audio system, among other features. 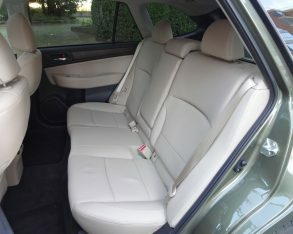 My 2.5i Limited test car priced out at $37,545 and added the CVT automatic, leather upholstery, voice-activated climate control, woodgrain interior trim, power-adjustable passenger’s seats, driver’s seat memory, rear climate control vents, rear seat heaters, Harmon/Kardon audio with navigation, projector beam headlights, 18-inch alloy wheels and other equipment. 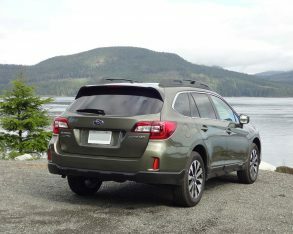 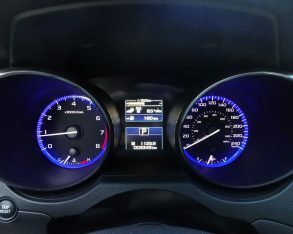 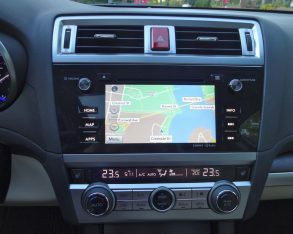 start – a feature that is in fact available, but only if you opt for the $1,200 Technology Option, which also adds Eyesight pre-collision assist, lane departure warning, adaptive cruise control, lane-sway warning, steering-responsive fog lights, and a larger five-inch multi-information display. 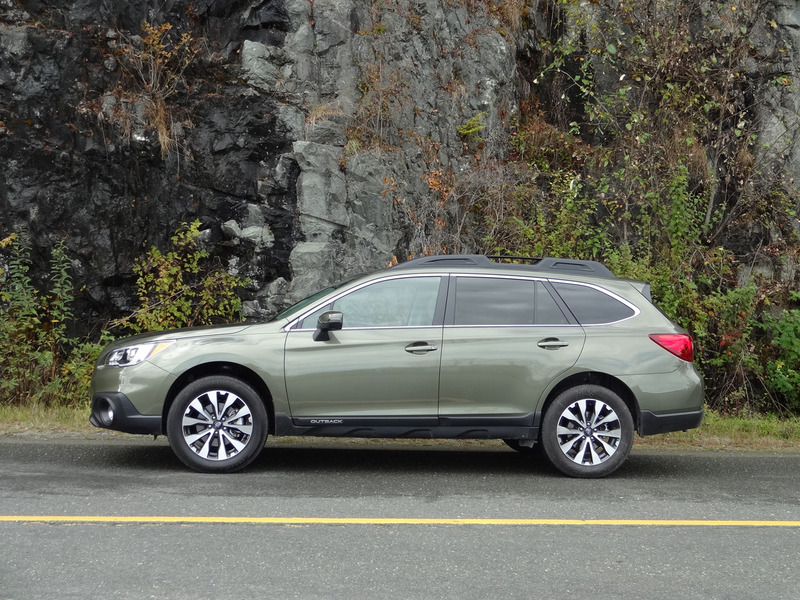 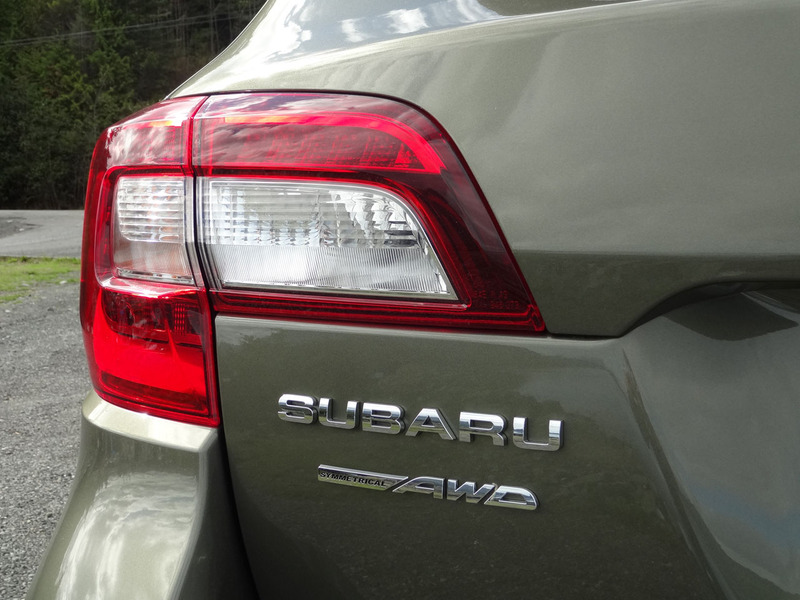 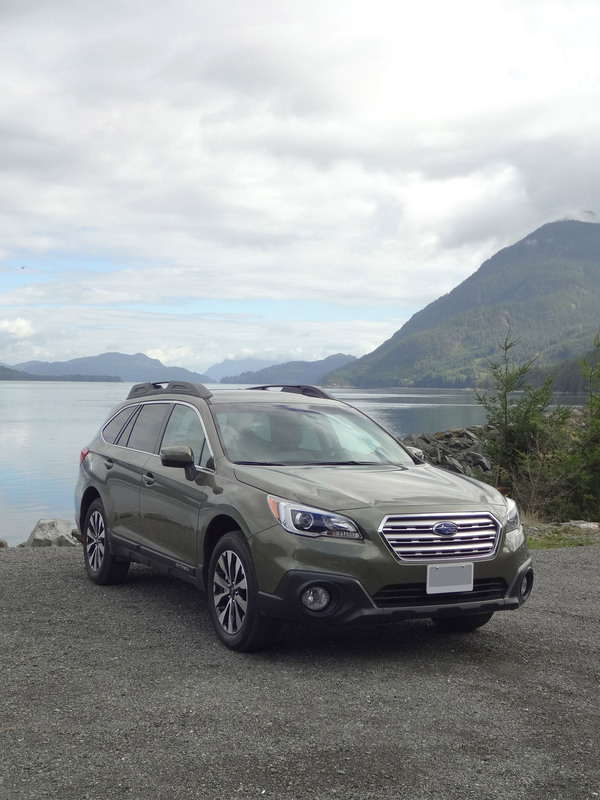 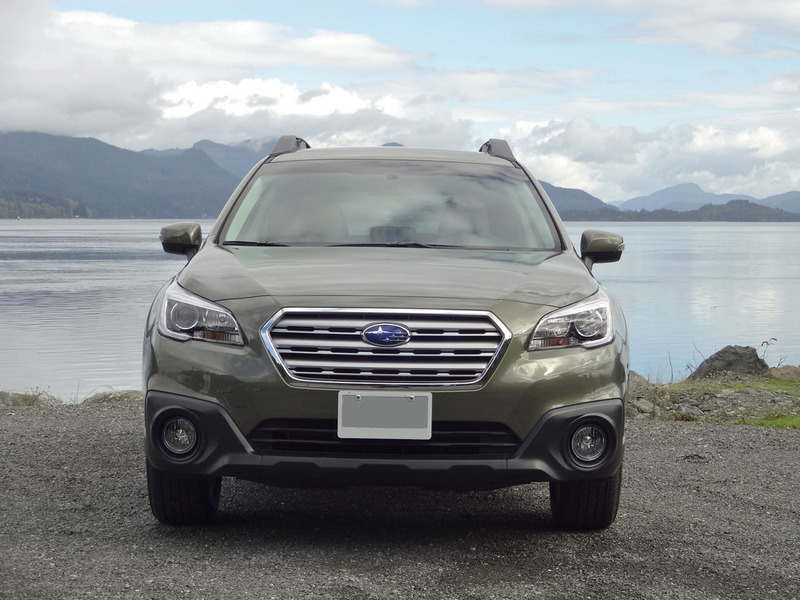 With the above range of pricing, the Subaru Outback compares favourably against similar, more expensive vehicles such as the Audi Allroad and Volvo XC70. 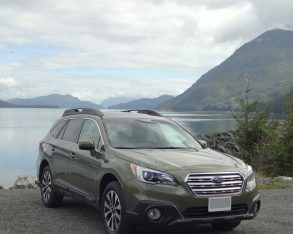 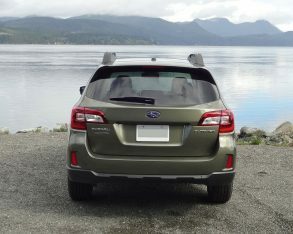 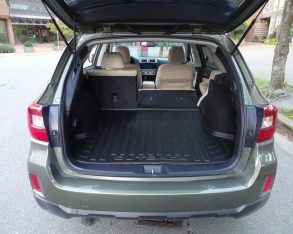 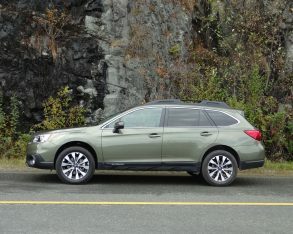 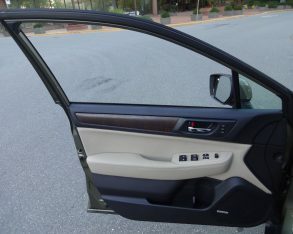 Outside of this niche the Outback’s combination of comfort and capability, combined with its size and cargo capacity that’s somewhere in between typical compact and midsize crossovers, means it represents a distinctive and smart alternative to a wide range of crossover rivals such as the Honda CR-V, Hyundai Santa Fe, Jeep Cherokee, Kia Sorento, Toyota RAV4 / Venza / Highlander, Subaru’s own Forester, and more.